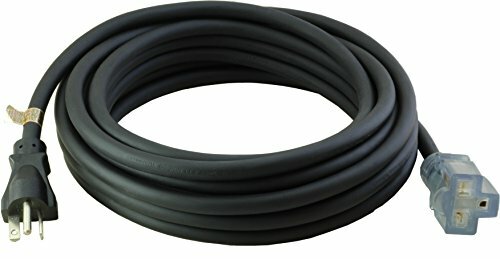 25FT SJTW 12/3 NEMA 5-20 Extension Cord. 20 Amp Indoor/Outdoor Extension Cord NEMA 5-20P Straight Blade plug to NEMA 5-15/20R Straight T Blade Connector with power indicator End. Cable is Anti-Cold weather Jacket which stays flexible in Cold weather.